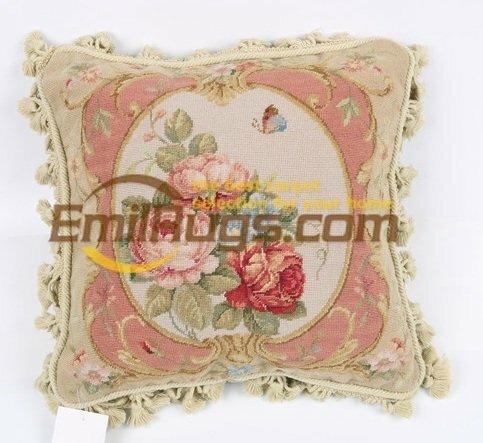 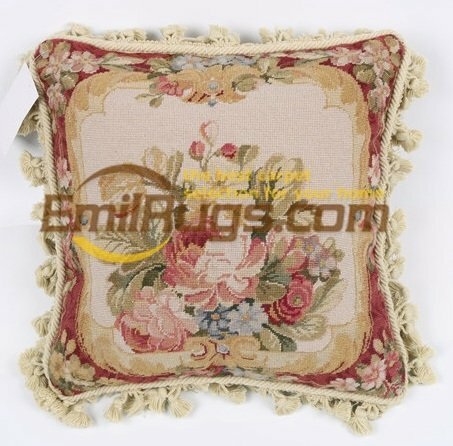 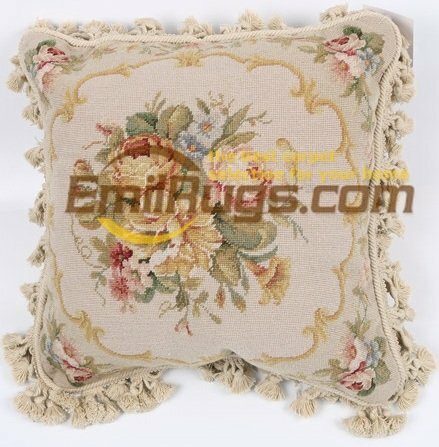 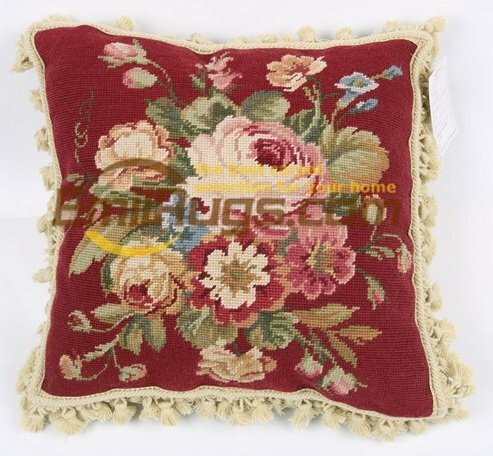 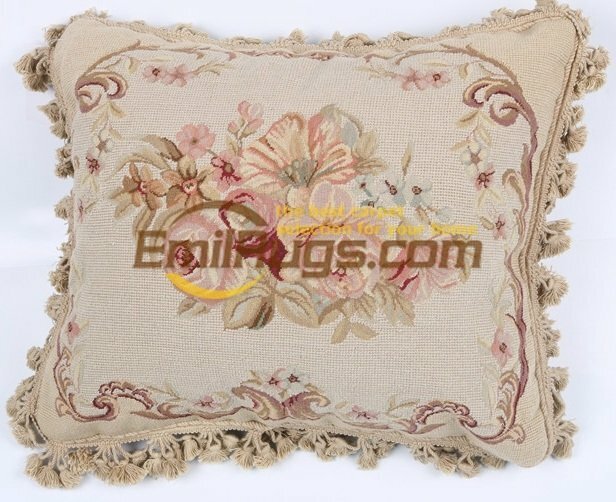 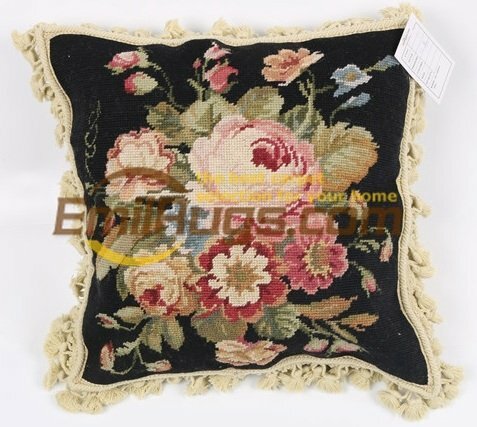 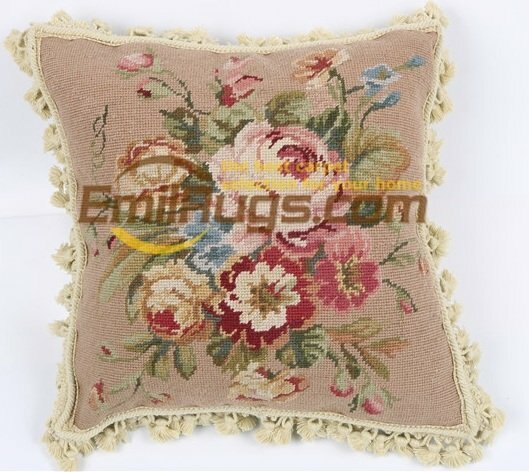 The cushions, we also call pillow covers, they are made of 100% wool needlepoint with velvet backing and a zipper. 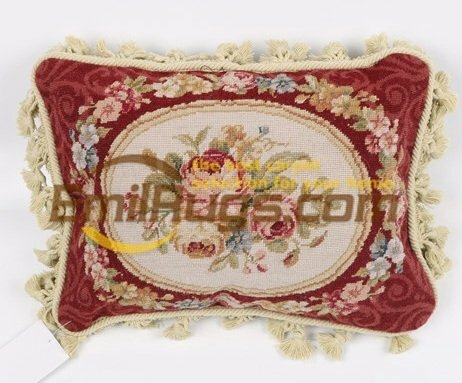 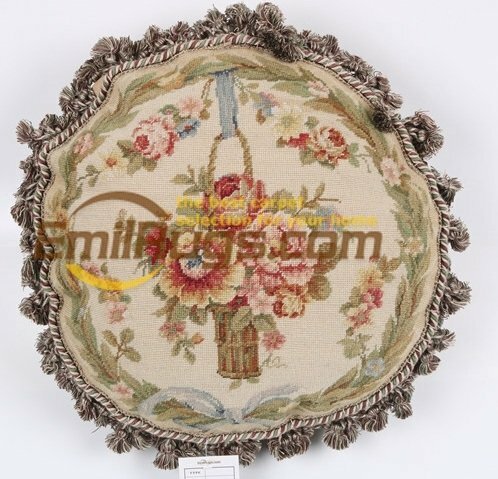 We have several kinds of needlepoint stitching, quality 10k normal needlepoint stitching, 15k fine needlepoint stitching and mixed 10k +15k stitching. 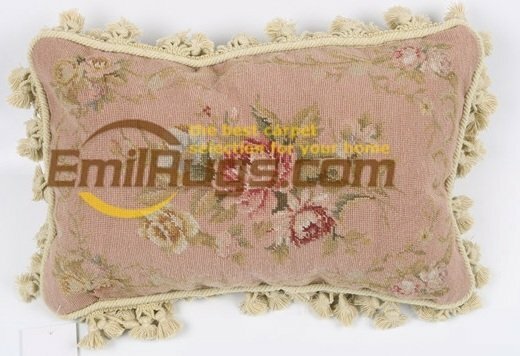 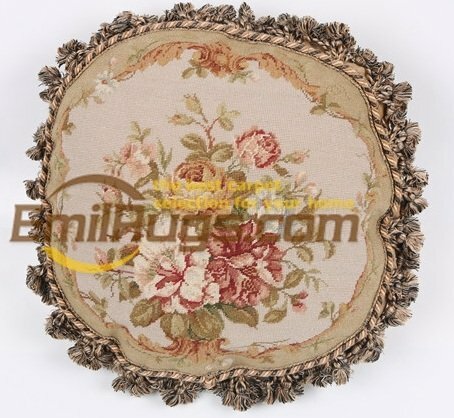 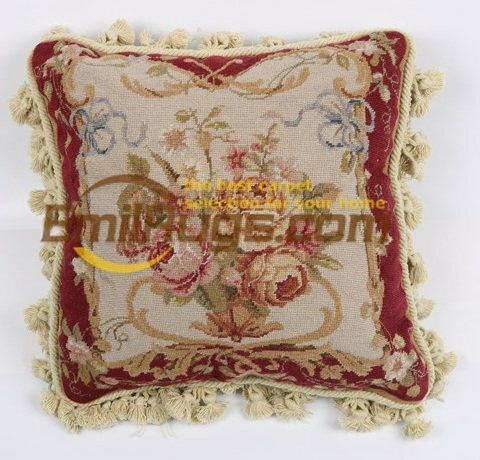 Featuring a state of the art brocade decorative style, and Aubusson design, it’s luxury will elegantly accent your home.